The events listed here are for your information and enjoyment and are provided in good faith. They may be cancelled or altered by the organiser which is out-with our control. We recommend that you check with the venue/their website for full details. Border Common Ridings and Festivals run throughout the summer each year where towns mark local traditions by ‘riding the boundaries’ on horseback. There is a lot more history to these than might first meet the eye, here is a link that may better help you understand what is going on…..
Free admission to over 70 of Scotland’s top visitor attractions is yours with an Explorer Pass. Buy an Explorer Pass valid for 3 days or 7 days and visit as many Historic Environment Scotland properties as you wish within that time – for no additional cost. A 3-day pass can be used on any 3 days within a 5-day period. A 7-day pass is for any 7 days within a 14-day period. Multiple sites can be visited on any single day. You can visit a specific site only once. Scotland Starts Here is a free app that helps visitors explore the region, learn its myths, legends and songs, and find the right itineraries for great experiences. The Scotland Starts Here app is free to use and can be downloaded from the App Store or Google Play store. It’s the penulitimate meeting of the season! Get your racing fix before the summer break & join in for a midweek afternoon of exciting national hunt action! The Organisers of the Floors Castle International Horse Trials look forward to welcoming everyone to the event this year. The event will be held from Friday 10th to Sunday 12th May 2019 – some international dressage will be held on Thursday 9th May 2019. Classes will extend from BE90 to CCI-S3* with additional non-eventing classes including Burghley Young Event Horse, Retrained Racehorses and Arena Eventing. Ladies Day is back! Time to get your glad rags on and get the girls together for a day of fizz and fun at the Races! Who will find the fashion in the field competitions for 2019? Over 600 cars, motorcycles, military, agricultural and commercial vehicles are expected in the “Open” concours classes together with some 500 vehicles gathered around fifty “Club” stands. Live music, good food, an opportunity to shop and a range of displays and family friendly activities will make it an unforgetable festival for all who attend. We are once again expecting to welcome the Sporting Bears MotorClub who will be putting on Dream Rides in a range of classic and modern sports cars. For the 10th edition of TweedLove Bike Festival – we’ve re-invented it from the ground up. The Scottish bike festival weekend is back for its 10th edition in 2019 with a new venue, new events and new adventures. Expect bike demos, a festival village, DJs, live music and lots of family fun. New venue, new events, new adventures, new enduros, new XC, E-bikes and more. A two day trans-valley enduro adventure. Registration and rider briefing Friday 7th June 2019. Transcend Festival could have been made for Gritopia – TweedLove’s gravel adventure into the valley backcountry. Perfect for gravel bike hipsters and road less travelled fans, all you need is a spirit of adventure and a bike that can despatch the miles and vertical metres on a variety of surfaces. The Energizer. Transcend’s brand new E-bike event. Trail riding update – contrary to what some dudes say, you don’t actually have to enduro to have an awesome time shredding the trails. It’s not definitely not enduro, and it’s not XC – so let’s call it X-trail. So just to make the point, this event will be a reminder of how smile-inducing (and OK there might be a grimace or two) a flat out lap of Inners classic red route can be – especially against the clock. Checkpoints along the way and the odd cheeky section of off-piste thrown in for good measure. The Hawick Common-Riding is the first of the Border festivals and celebrates both the capture of an English Flag in 1514 by the youth of Hawick at a place called Hornshole and the ancient custom of riding the marches or boundaries of the common land. The Cornet for the year is elected at the beginning of May, well in advance of the festival proper, when the Provost’s Council, on the recommendation of the two previous Cornets (called the Right and Left-Hand Men) invites a young man to act as Cornet. The Halberdier, accompanied by the Drum and Fife Band, carries an official letter of invitation to the nominated Cornet. Invitation accepted, the Officer is rewarded with a new “shilling” and asked to carry the Cornet’s letter of acceptance back to the waiting Council. Afterwards the Cornet with his two predecessors walk round the older parts of the town before attending a congratulatory Smoker. From then until the festival is over the Cornet is an honoured figure in Hawick. The first recorded Cornet was in 1703 and other than the World Wars there has been an unbroken line to the present day. In the weeks preceding the actual Common-Riding, on each Saturday and Tuesday, the Cornet and his supporters are out on their ride-outs in the course of which they visit surrounding villages and farms. The main ride-out, however, usually two weeks before the Common-Riding weekend, is the twenty-four mile ride to Mosspaul and back. While returning from the rideout on the Saturday before the Common-Riding the principals visit the Hornshole Lest We Forget Memorial to salute the memory of the youth of 1514. On the Thursday evening of the week preceding the Common-Riding, the first of the Cornet’s Chases takes place up a hill called the Nipknowes on the way to St. Leonards Farm where a local caterer is asked to prepare the customary dish of “curds and cream” in readiness as a refreshment during the actual riding of the marches. This marks the end of the preliminary procedure. The Common-Riding proper takes place in June on a Friday and Saturday. It had been the invariable practice to hold the riding of the marches on the last Friday in May, but the adoption by this country of the Gregorian Calendar, which removed eleven days from the year, forced the festival into June. This important week begins on the Sunday with the Kirkin’ o’ the Cornet during a service in the church of which he is a member. This is preceded by the Cornet’s Church Parade in which the principals, together with the followers, walk from the Council Chambers to the church. In the afternoon the Cornet’s Lass with the Lasses of the two previous Cornets travel to the Hornshole Memorial and lay a wreath. For full details of this Common Riding which spans several days/weeks click on the link below. A firm favourite – book early to avoid disappointment! Get your taste buds tingling and enjoy the atmosphere in The Orchard with some of the finest food and drink from across the Borders and Scotland. In a giant stretch tent, Born in the Borders will keep the good cheer flowing with their finest beers, craft gins and will of course be popping a few bottles of festival fizz too! This year’s offerings for foodies include a welcome return for Alanda’s Seafood Grill with their fresh shellfish and their innovative twist on traditional fish and chips. New this year, Fire Dog Hot Dogs will be serving up their delicious hot dogs and artisan burgers for everyone to enjoy. The Fieldwork Café with their mouth-watering selection of cakes, sandwiches and teas will also be joining us for the first time along with The Crepe Shack with their lovely sweet and savoury crepes. Regular favourites Crema Caravan from Galashiels will be back this year to tempt everyone into trying their delicious, freshly baked creme brulees. You can also savour a great selection of artisan coffees and scrumptious homemade brownies from Linton & Co. Coffee, served from ‘Bernard the Citroen H Van’. If you’re short of time between events, then beer, wine and coffee are all available in Harmony Garden from Born in the Borders Harmony Bar and Charlie Mills Coffee’sconverted horse box. And don’t forget to try the mouth-watering selection of ice creams and sorbets served from ‘Beatrix’ the traditional Over Langshaw Farmhouse ice cream bicycle. 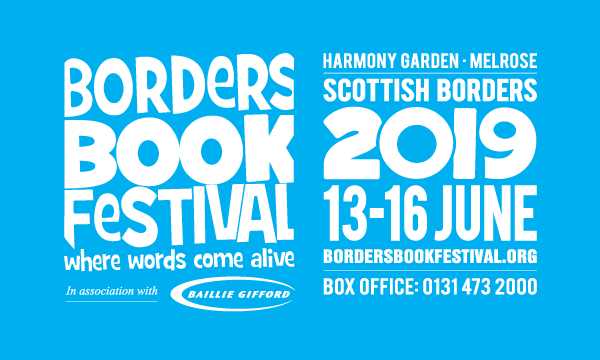 Join us in the Baillie Gifford Festival Hub in Harmony Garden where you will find the festival bookshop and box office. There’s lots of space for browsing, buying and book signings and in the corner kids’ area, children can sit and read, try some colouring in and take part in some fun activities. The bookshop is open from 10am until late – plenty of time for shopping! We run our own bookshop and all proceeds go directly back to the festival. All events last one hour unless otherwise specified, and book signings take place within the festival bookshop. Please check the board outside the bookshop for signing information. Many of our events and activities don’t cost a penny. Listen to a story at our Storytime events or sing along at our Bookbug rhyme sessions. Head to the Abbotsford Tipi for Knight School activities, help create a book in the Words plus Pictures = Book! drop-in sessions, learn some circus skills with festival favourites, Oli & Co and say hello to our friendly stilt-walkers who will be strolling around all weekend. WOWEE!! Come and explore the Orchard – a family-friendly space for relaxing, where many of our activities also take place. All accompanying adults go free! We’re delighted to announce that there is NO ENTRY CHARGE for adults accompanying children to Family Book Festival events. Please note that all events are ticketed, so remember to put your FREE adult ticket in the basket at the time of booking. Dogs competing for a spot at the world famous Crufts dog show, to be held next March. Almost 6,000 dogs from over 200 breeds will be descending on Springwood Park in Kelso for the popular Border Union Dog Show – one of the largest events of its kind in Scotland as well as in the UK. The show will see dogs and their owners from all over the British Isles and beyond compete in a bid to qualify for the world’s biggest dog show, Crufts. 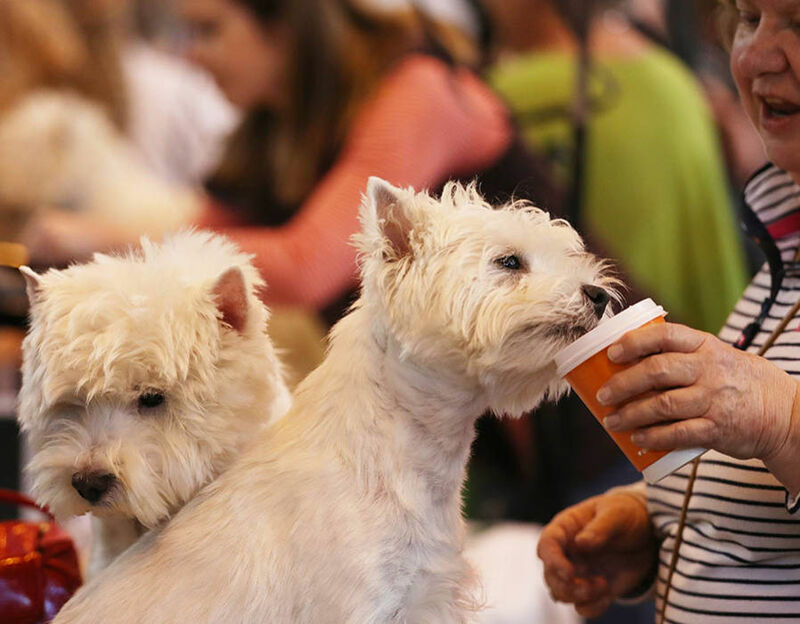 The show is one of the largest gatherings of dogs in the UK and will see rare native Scottish breeds competing, such as the Dandie Dinmont Terrier, Smooth Collie, Gordon Setter and Skye Terrier. These breeds are bred in such small numbers today that they are considered by the Kennel Club to be at risk of disappearing from Scotland’s streets and parks. Alongside these breeds will be some of the more well-known Scottish native breeds such as the Golden Retriever, West Highland White Terrier and Rough Collie and Shetland Sheepdog. 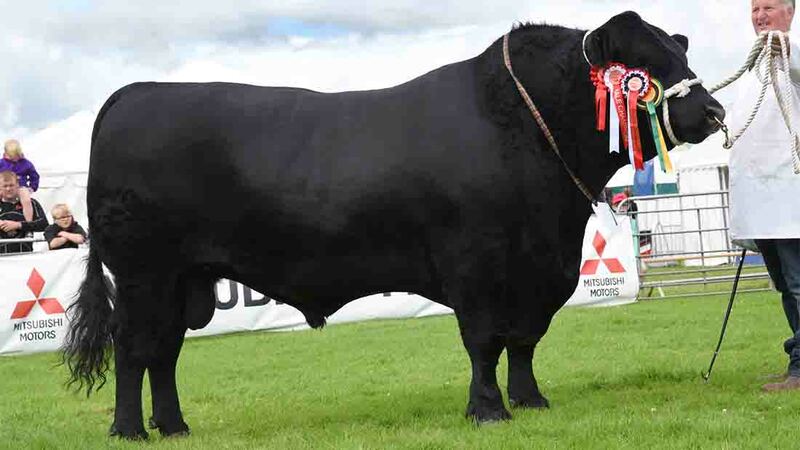 Monday – Rideout leaves the Greenyards 6pm (cavalcade of around 200 horses led by the Melrosian and his officials). 9pm horses return to the Square, Melrose where the Melrosian makes a speech and awards are presented to riders. The Melrose Pipeband plays throughout the evening. Tuesday – Melrose Festival Fancy Dress, Gibson park, Melrose. 6pm judging commences followed by a parade round the town centre followed by a disco in Melrose Rugby Club for families. The Melrose Pipeband plays throughout the evening. Wednesday – 6.30pm from Gibson Park, Melrose – Melrose Festival Family Bike Ride followed by a family barbecue at Annay Road at 8pm. Friday – Fairground rides at The Triangle, Greenyards, Melrose. Melrose Festival Ball – ticketed event. Saturday Tour of Ceremonies – leaves Market Square 8.50am arrives back at Melrose Abbey 12pm. 2.30pm Sports in Gibson Park. 7pm Melrose Pipeband play in the Market Square, Melrose. Instituted in 1938 to commemorate the town‘s history, with the “Melrosian” as the central figure. For viewing the Rideout, it is recommended to be in the Market Square for the start of the ride, which leaves the Greenyards Triangle, and if river levels permit, on either side of the Tweed for the crossing. The Newstead bank is accessed via Millmount Farm and the Gattonside bank from the Chain Bridge. A rideout, fancy dress parade and community bike ride, among other events, lead up to Thursday‘s ceremony in the picturesque setting of Melrose Abbey, where the Melrosian is installed, the Festival Queen crowned and an oration given by a guest speaker. Saturday sees the Tour of Ceremonies to places of historic interest around the Melrose area. The final ceremony of the Tour takes place at Melrose Abbey, where almost 900 years of history are recalled when the granting of the foundation charter by David I is re-enacted. Children’s Sports and a Festival Dinner conclude the week‘s festivities. The Peebles Beltane Week will be taking place between 16-22nd June 2019. Beltane signifies the fire of Bell or Baal and originated from the pagan Celtic festival. The festival was in honour of the power which in early summer gave light, warmth and growth. Wednesday evening sees the installation of the Cornet followed by the Riding of the Marches and a ceremony at Neidpath Castle. 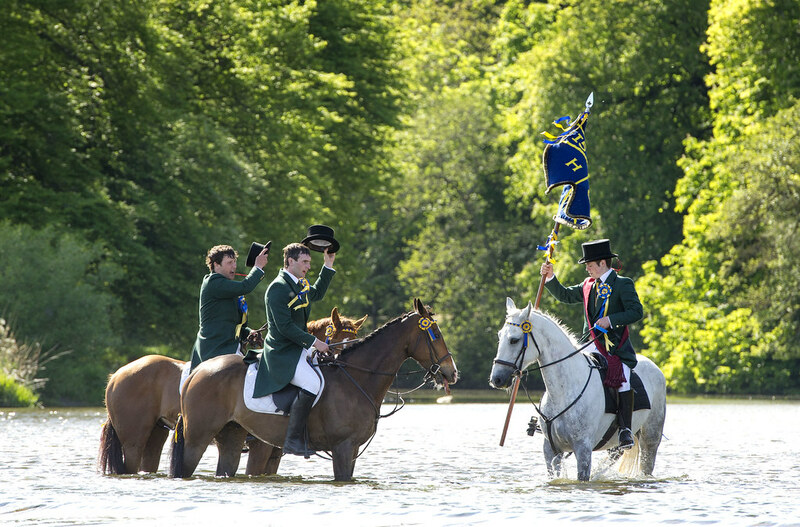 Following a series of horse races, the mounted procession leaves for the River Tweed and the evening ends with the dancing of the Cornet‘s Reel. After an early morning rideout on Saturday, Festival Day begins with the proclamation of the historic Beltane Fair and the crowning of the Beltane Queen, followed by a grand procession around the town. Established in 1930 to celebrate the town‘s history. Preliminary events precede the main ceremonies on the Saturday which begin with the Braw Lad receiving the Burgh Flag and leading his mounted supporters to the Raid Stane. Recommended viewpoints for the Riding : 9.00am – Fording the River Tweed at Abbotsford – viewing either at the side of the river or above on the Tweed Bridge. 10.30 am – Old Town Cross at Church Street, Galashiels (non horse event) . 11.30am – Mounted cavalcade make their way around the town. Good viewing point at Scott Street. Here in 1337 Gala lads killed English raiders in a field of wild plums. The ride continues with crossing the Tweed to Abbotsford and returns to the Old Town cross where the creation of Galashiels as a Burgh of Barony in 1599 is recalled. The ceremony of sod and stone (sasine) is enacted and red and white roses mingled on a base of thistles to commemorate the marriage of James IV of Scotland and Margaret Tudor. Sports and gymkhana bring the week‘s festivities to a close. There’s also a fab wee cafe on site selling teas and coffees, light lunches and delicious home baking. Strawberries, raspberries, gooseberries, blackcurrants, redcurrants & tayberries. Check the website for availability of fruit types and a daily weather update. Enjoy ! Newcastleton Traditional Music Festival was first held in 1970, and grew out of the local Accordion and Fiddle Club that met in the Commercial Hotel (now the Liddesdale Hotel). From that initial one day event has grown the most welcoming and family friendly traditional music festival in Scotland! Over the years there have been a range of competitions, but always based around accordion, fiddle and traditional singing. As fashions change, so has the popularity of various classes, but the core competitions are still going strong, and we love the interest shown in the children’s classes! Concerts, ceilidhs, sessions, singarounds, and workshops add to the competitions to offer the festival goer plenty of choice, and of course the wonderful Copshaw Common Riding runs parallel to the festival as well – a spectacle that has to be seen to be believed! Inaugurated in 1947 and lasts over two weeks with ceremonial rides to places of historic interest. Various events and ride-outs throughout – see the link below for dates/events. Instituted in 1949 to commemorate the town‘s history and traditions in a week of sports, concerts, rideouts and parades. In 2018 the Duns Law service will be on Tuesday 3rd July and the Common Riding will be on Saturday 7th July (to be confirmed). On Monday night the Burgh Flag is handed to the Reiver for safekeeping. The next evening, he leads his mounted followers to the summit of Duns Law for a short service. Here in 1639 General Leslie’s covenanting army encamped to oppose Charles I who was preparing to cross the River Tweed and enforce a form of religion which the Scots found unacceptable. Wednesday is children‘s day in the Public Park. Friday sees the traditional game of “handba”, played between the married men and bachelors of the town. The final ceremonies on the next day include the Riding of the Parish Bounds, athletics and a fancy dress. The Summer Festival at Duns was set up in the mid twentieth century and is a week long celebration starting on the first Sunday of the month with a wide selection of traditional events including sports, music , dancing and childrens entertainments. On the Tuesday, a cavalcade led by the Reiver make their way to the summit of Duns Law for a service commemorating General Leslie and the Covenanters’ encampment here in opposition to King Charles I in 1639.The traditional Handba game is played on Friday night (see separate article for Duns Ba). On the Saturday, there is a Common Riding boundary marking custom and also fancy dress, concerts and music. Inaugurated in 1937 and includes a raft race, sports, gymkhana, concerts and rideouts to neighbouring villages. On the Wednesday of Civic Week the Kelso Laddie is installed and the Standard bussed, the ceremony in the Market Square concluding with the Kelso Laddie‘s Reel. Two days later the Laddie is installed as Kelso Whipman commemorating the Old Whipman‘s Society of Ploughmen, once active in the town. He leads his mounted followers to a ceremony at the Trysting Tree, the traditional meeting place of the Whipmen. The chief ride to Yetholm takes place on Saturday and the festival concludes with a fancy dress parade, presentation of cups and the return of the Kelso Standard to the Provost. Kelso Civic Week is a typical series of summer celebrations in the Border tradition dating back to the 1930s and including Common Riding. Common Ridings are a boundary marking custom on horseback. They are mainly held at locations across the Scottish Borders, perhaps because this area suffered from centuries of raiding and reiving between local families and the English, and the locals needed to protect their lands from encroachment. Long after this was necessary, the Ridings survived to become major festivals. The main rideout to Yetholm is on the second Saturday of the festival, but there are other rides including one to Floors Castle and the Whipman’s Ride on the Friday, which is the most traditional of the rideouts and follows the ringing of the Curfew Bell and an Oration. The main protagonist here is the Kelso Laddie with his supporters the Right Hand Man and Left Hand Man- expect a large cavalcade of over 100 equestrians and lots of cheering and flag waving. Other festival highlights include a variety of sporting fixtures, fancy dress, dances, fireworks and a torchlit procession. 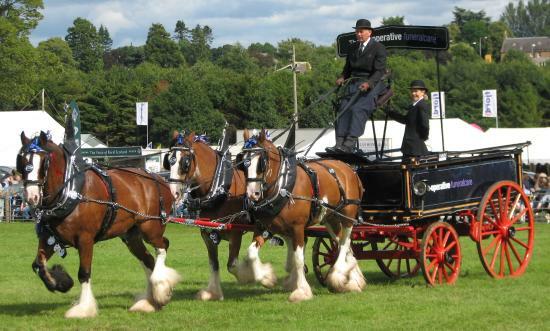 Traditionally the annual Show is held on the last Friday and Saturday of July each year in Springwood Park, forty-six acres of parkland on the outskirts of Kelso. The Showground is adjacent to the world famous Junction Pool of the rivers Tweed and Teviot with a magnificent view of the Abbey and the unique five arch bridge built in 1802 as a model for the old Waterloo bridge in London. 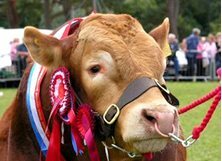 The Show includes competition for Horses, Ponies,Cattle, Sheep, Donkeys, Goats, Poultry, Rabbits, Shepherds’ Crooks, Horse Shoeing, Young Farmers Stock Judging and Industrial Arts, with over five hundred open classes. There are approximately 200 trade stands including farm machinery, crafts and gifts, motor vehicles, clothing, equestrian goods, food outlets and furniture retailers. There is also the ‘Flavours of the Borders’ Food Fair, a Children’s Fun Fair, Catering and Bars. These are open on both days and there is Main Ring family entertainment on the Saturday afternoon. On Saturday 27th July 2019 the National Museum of Flight, East Lothian once again plays host to Scotland’s National Airshow 2019. The air display will feature aircraft old and new, with fantastic formation and single flying from international and UK based teams. There is a whole day of on the ground activities where you can meet pilots and crews, explore on of Europes best collection of aircraft and take part in aviation-themed and family activities. Sports, parades, dances and concerts precede the main events on the Saturday when the Cornet receives the Burgh Flag at the Tollbooth. He leads the mounted cavalcade to the Watering Stane and onto the Burgess Cairn, the only boundary stone still in existence. The proceedings conclude with a ceremony at the War Memorial and the return of the flag, with games and horse events in the afternoon. Lauder Common Riding is one of the longest established customs in the Borders calendar, with records dating back hundreds of years. A series of other events like a fancy dress competition take place in the week leading up to the Riding itself. The riders mark the local boundaries, calling at cairns and stones along the way. The Cornet leads the cavalcade after receiving the Burgh Flag at the Tolbooth (also known as the Town Hall) at 7.30 am; on their return at around 11.30 there is a remembrance ceremony at the War Memorial. After a few prayers, lowering and raising of the flag by the Cornet and a minutes’ silence, the procession makes its way down the main road followed by dancing townsfolk to the Town Hall . The flag is returned, speeches made and prizes presented including “best turned out” and one for the oldest equestrian. A ball follows in the evening (tickets for this to be bought in advance). Inaugurated in 1952 and begins on a Sunday with the introduction of the Coldstreamer, the principal figure in the celebrations, and the bussing of the Burgh Flag. As part of Coldstream Civic Week Coldstream Riders’ Association arrange four ride-outs. While Flodden on the Thursday is the longest and largest of these events with more than 300 riders taking part each year (460 in 2014 as this was the 500th anniversary of the battle of Flodden), between 50-100 horses will also join the shorter routes to Norham (Monday), Birgham (Wednesday) and Leitholm (Friday). Coldstream Riders’ Association also supports the wider programme of events arranged by Presenting Coldstream during Civic Week which includes a torchlight procession, fancy dress, the “Dub Dash”, pet show and the all important sashing and unsashing ceremonies which take place on the Sunday at the beginning of the week then the following Saturday respectively. A week‘s activities follow with rideouts, gymkhana, sports and parades. The highlight of the week on the Thursday is the ride to the Flodden Memorial to commemorate the dead of 1513. Wreaths are laid, a short service held and an oration delivered by a guest speaker. Friday evening sees a torchlight procession and firework display. The Civic Week ends on the Saturday with horse racing, fancy dress parade, the return of the Burgh flag and Beating Retreat.Recommended viewpoints: Flodden Day, Coldstream High Street is the best place to see the horses leave the town 10.30am. Branxton Hill to see the cavalcade gallop up Flodden Hill, best to be in place by 12 noon. From its early days, The Royal Edinburgh Military Tattoo has been an international favourite. Performers from over 48 countries have taken part in the Tattoo, and around 30 per cent of the 220,000 audience each year are from overseas. In addition to this, the Tattoo has been televised in more than 40 countries. An annual television audience of 100 million watches the coverage worldwide. The international flavour of the Tattoo has been deliberately developed as a key element in its capacity to entertain a huge, cosmopolitan audience. The Tattoo’s unique ability to bring together thousands of people for this annual celebration of music and entertainment continues and the public’s appetite for pomp and ceremony shows no sign of diminishing. Edinburgh’s six major theatres and concert halls, a few smaller venues and often some unconventional ones too, come alive with the best music, theatre, opera and dance from around the globe. Totally open-access, the Fringe is proud to include in their programme anyone with a story to tell and a venue willing to host them. Audiences can enjoy theatre, comedy, dance, circus, cabaret, children’s shows, physical theatre, musicals, opera, music, spoken word, exhibitions and events. It’s a magnet for creative producers, the industry and the media making it the biggest and most dynamic international arts market in the world. Entry to the Book Festival Village is FREE and EVERYONE is welcome! There is much to enjoy during a visit to the Book Festival, it’s not only about the events. The Festival’s home, the beautiful, leafy Charlotte Square Gardens (at the west end of George Street, a minute’s walk away from Princes Street), is a wonderful space in which to sit, talk, think, play and be entertained. Our tented village is expanding out to George Street this year with two new venues and seating areas so there are even more opportunities to relax and be entertained. You can see a favourite author, join in a workshop or debate, enjoy a cuppa in the café, a beer or a wee dram in the Spiegeltent, or simply park yourself on the grass (with or without a book) and soak up the atmosphere. The festival run two independent bookshops in Charlotte Square Gardens – one for adults and one especially for children. They stock thousands of titles by visiting authors plus a wide array of contemporary literature, with all proceeds going directly back into the Book Festival. This year, we also have a pop-up Booksales Hut on George Street, stocking a small selection of titles. There are plenty of refreshments on site with three cafés offering a variety of fairtrade hot and cold drinks, light snacks, yummy cakes and ice-cream plus a fully-licensed bar. And there is a mini-festival called Unbound – it takes place in the Spiegeltent from 9pm until 11pm and offers authors the opportunity to try new approaches. You can expect a mix of literature, music, a good glass or two of the fine stuff and a few surprises. It is absolutely free, so come along one evening with some friends and soak up the atmosphere. The full programme will be announced in July. Remember, entry to the Book Festival Village is FREE and EVERYONE is welcome! Now a well-established tradition, the Massed Pipe Bands Day was initiated by the present Duke’s father who recognised in the spectacular setting of the Castle, the most evocative backdrop for an event of this nature. A fantastic day out for all the family featuring Pipe Bands from across the Scottish Borders and Lothians. Watch spectacular Pipe Bands from across the Scottish Borders perform – it really is a sight to behold! There will also be wonderful dance performances, children’s entertainment, catering & refreshments, emergency services demonstrations and much more. The Courtyard Café will be open all day for you to enjoy delicious homemade paninis, soups, hot & cold drinks and ice-cream! Or, why not take a stroll over to the Terrace Café for a delicious dine-in lunch made from the finest seasonal local produce. We will also be serving our famous afternoon teas – the perfect Sunday afternoon treat to enjoy with family and friends. Event admission of £10 per adult, £5 per child. includes access to Gardens and Grounds. The Scottish Borders Walking Festival first took place in West Linton in 1995 and since then has moved around the area on an annual basis. It is the longest established walking festival in Scotland. The festival is overseen by Scottish Borders Council and organised each year by different Borders’ communities. It normally takes place in the first week of September, with 3 to 5 walks per day of varying lengths, and includes a programme of evening entertainment. 28 Guided Countryside Walks – led by our wonderful Countryside Rangers and local walking enthusiasts. Daily Free and Easy Strolls with special interest themes. Social events every evening, including presentations on local culture, history and photography, a pub quiz, a play about 19th century Selkirk medic (and walker) Dr John Muir and of course a ceilidh! And a fabulous Festival First Night Welcome in Selkirk’s grand Victoria Halls with guest presenter Cameron McNeish from the BBC’s “Adventure Show”. A weekend of traditional music concerts, sessions, workshops and open mics. Confirmed acts for 2019 include Fara, Hannah Rarity, Old Blind Dogs, Seamie O’Dowd and Viper Swing with members of the Edinburgh Swing Dance Society. So why do so many of visitors come back every year? Is it for the fantastic food and drink? Delectable delights and tasty treats from our wonderful street food vendors and amazing artisan producers. To polish up their culinary skills with our free Chef Demos? Or, to get stuck in with the Bake-Off stars on our free, interactive Bake Stage? Or maybe, it’s our cocktail of niche bars, with their tempting tipples, ready to enjoy? Perhaps it’s for the memorable moments, soaking up the atmosphere, chilling to some fabulous live music, sampling the Cake-Off creations, being entertained by the (slightly crazy) Men v Food warriors, all the while enjoying the stunning surroundings of some of the country’s most beautiful stately homes? Oh and yes, we do make sure their children are blissfully amused, and the dog can come too! Guided foraging walks, chef demos, cookery classes and numerous food vendors at various locations across the UK. Nestled at the heart of the diverse Roxburghe Estate in the beautiful Scottish Borders is the outstanding Floors Castle. We are delighted to be back for our 2nd year at Scotland’s largest inhabited Castle. Floors Castle is one of Scotland’s most historic houses and, included in your food festival ticket, the gardens and grounds are open to our visitors and are a delight to explore. Combining one of the finest Victorian kitchen gardens in the spectacular Walled Garden with the formal Millennium Garden, the gardens at Floors are a showpiece of seasonal interest and inspired new creations. You can also entertain the little ones on the adventure playground, located within the walled gardens and enjoy beautiful woodland and riverside walks throughout both the formal and informal gardens, all for free and if you would like to see inside the castle itself, you can upgrade on the day for just £5! Why not book for a festive stay at Kirkton Cottage!